Infographics are an excellent way to display complicated information in the classroom. They are easy to create and can also keep students engaged. Check out the 4 reasons to use infographics in the classroom. Infographics are an excellent way to convey a large amount of data and information in an interesting and visually way, which makes them one of the ideal tools to use in the classroom. Teachers can create them as an instructor and use them to help students understand a complecated concept. 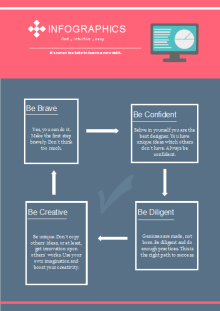 There are many infographics available on Edraw, a powerful infographic software. 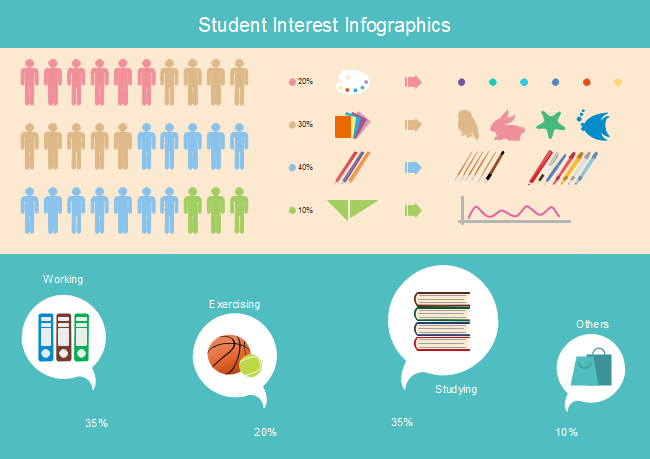 Here is an infographic example for student interest. Every teacher must have heard that infographics are extremely powerful tools for teaching. Humans are visual creatures in nature – half of our brain is dedicated to visual functions. What's more, 65% of the students are visual learners. What’s even more important is that when we see an image, we process 60,000 times fasteras than we process text or words. Teaching with infographics in class can greatly increase learning efficiency of students. Infographics are full of visual elements include images, graphs, tables, etc. This provides the interesting element that the class needs. In addition, the colorful images and graphics can maintain the attention of students. The data or information included in the infographics can be easily understood by students if they are interested and have their full attention on the subject. Infographics are a fun way of teaching that can create a special connection with students in the classroom. Since the infographics are aimed at educating, they can also help create a sense of connection which will likely pay off later. In 21st century, social media becomes more and more popular among yong people. When you create some awsome and easy to understand infographics, share them to students in the classroom, then post them on the Internet. Your students will be willingly to share it with their fans, thus creating a snowball effect. 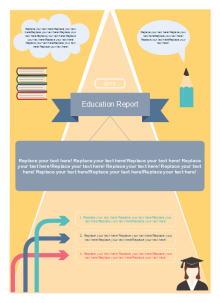 The following education infographic templates are created by Edraw. They are completely editable and free to download. Use them in the classroom to explain the following topics to your students.